After driving the all-new, 2019 Chevrolet Silverado in Wyoming, it’s only fitting for us to get behind the wheel of its mechanical cousin, the 2019 GMC Sierra. We’ll be in Newfoundland this week for its Canadian launch. Among the three American titans currently selling half-ton trucks, Ford, GM, and Ram, only General Motors offers two different rigs across its brand portfolio. 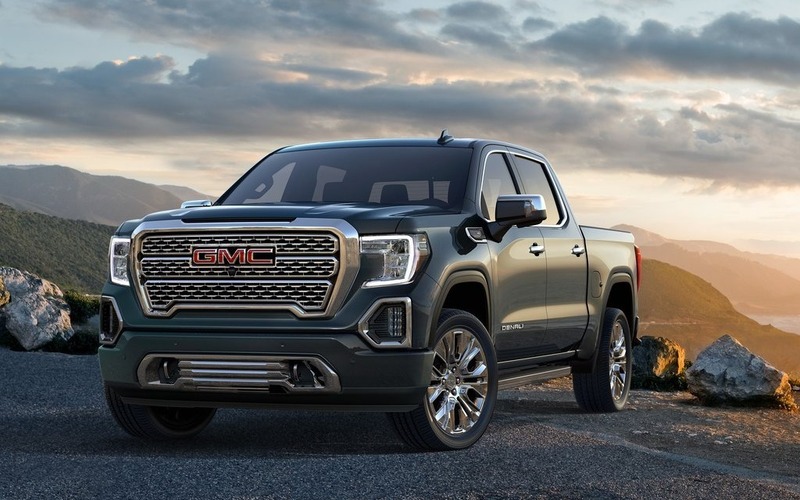 It’s therefore a surprise to nobody that the 2019 GMC Sierra 1500 borrows a lot of its mechanical components with its cousin, the 2019 Chevrolet Silverado 1500. Also: 2019 GMC Sierra: Unveiled This Week! This means that it too comes with a choice of six different engines, among which are two V8s—a 5.3-litre and a 6.2-litre. Of course, like in the Chevy, the GMC’s 5.3-litre can be had with GM’s all-new dynamic fuel management system, or the classic cylinder deactivation technology. A naturally aspirated, 4.3-litre V6, as well as a 3.0-litre, Duramax turbo-diesel inline six are also available. Like in the Silverado, a 2.7-litre, turbocharged four cylinder will join the party sometime next year. Rated at 310 horsepower and 348 lb.-ft. of torque, it’s expected to be coupled to an eight-speed automatic transmission. Finally, the Sierra distinguishes itself from the Chevrolet thanks to a bolder design, an interior that can become significantly more luxurious through the Denali trim, the integration of modern materials such as carbon fibre for its bed, and the much-anticipated AT4 all-terrain trim. The Sierra also comes fitted with an intelligent tailgate which can be opened in various ways, giving the truck more flexibility than its rivals, says GM. We’re definitely looking forward to getting our hands on this all-new GMC truck in order to compare it to the Chevy, but also to its direct competition. Stay tuned for our first drive report live from beautiful Newfoundland! Spotlight on 2019 GMC Sierra: Unveiled This Week!